Mix the above ingredients until smooth and pour into 3 glasses. Top with whipped cream and crushed gingersnaps. Add Baileys and vodka in an ice-filled shaker. Shake with ice and pour into 2 martini glasses. Garnish with chocolate shavings. 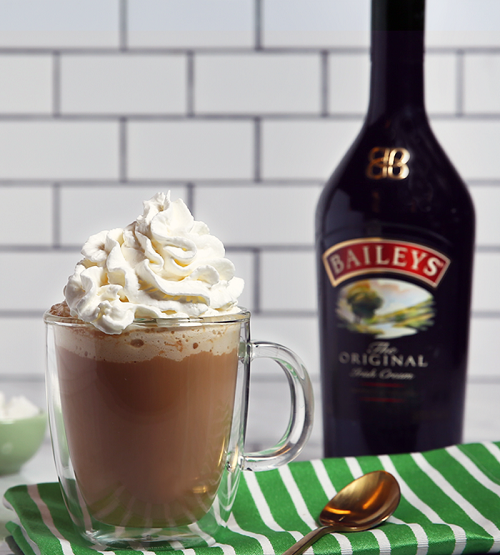 Combine Baileys, hot coffee and Irish Whiskey in a tall glass. Top with Whip Cream. Add first 4 ingredients to a small sauce pan and cook over medium heat until the chocolate has melted. Remove the pan from the stove and with a whisk beat until there is a thick layer of foam on top. Top off with Whipped Cream. Punches are such a great option when you’re entertaining guests. 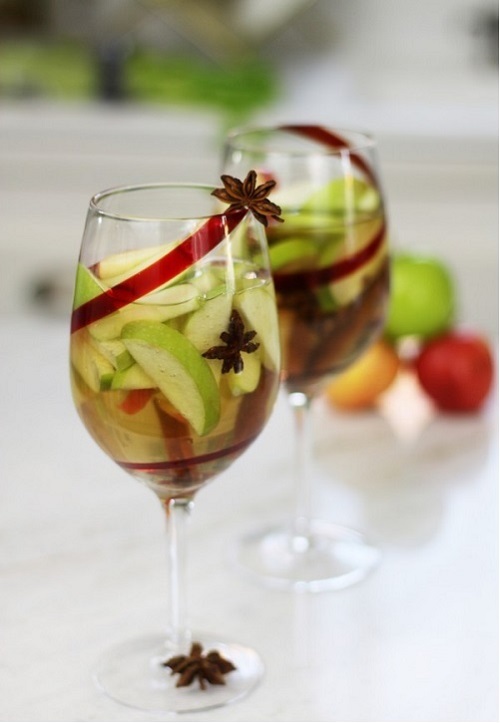 This Sangria offers warm baking spices, hearty bourbon, and apple brandy swirled together. The best part about this simple recipe is that you can prepare this in bulk ahead of time for any large gathering, and it’s very easy to multiply to create greater quantities! In addition, the longer this drink sits in the fridge, the more flavorful it gets. Slice both apples and combine with all other ingredients in a large pitcher. Let sit overnight in the fridge, stirring occasionally. Without straining any contents, pour contents into wine glasses.